We are offering canoes and kayaks as well as shuttle service for private boaters for the Centennial Challenge, hosted by the Big South Fork National River and Recreation Area. Reservations for both boat rental and shuttle service must be made and paid for in advance. 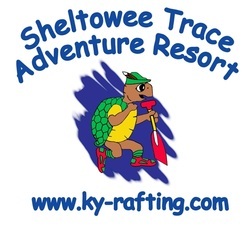 ​ We provide canoe and kayak rentals for this section of the river as well. Shuttle fee is included in the price. This rental will meet at the take-out point (at Yamacraw) at 9am, where you will leave your vehicle. We will take you up to Blue Heron in time to meet up with the Centennial Challenge group at 10am. We offer shuttle service from the take out at Yamacraw back up to where you left your car at Blue Heron. This shuttle will meet at the take-out (Yamacraw) *after* the trip, and we will shuttle you back up to Blue Heron. Please note that rentals will meet at the Yamacraw river access point *before* the trip.